Billionaire Elon Musk is bringing American infrastructure into the future one ambitious project at a time. The tech mogul is behind Tesla, which has been a leading force in the rollout of electric cars domestically; SolarCity, a company that hopes to bring solar roofs to homes worldwide; and SpaceX, which has engineered a line of reusable rockets that have been sending commercial satellites into orbit before landing on a remote barge. Now, another Musk initiative, Hyperloop, aims to provide incredibly fast train service that will make a trip between New York City and Washington, D.C., in less than 30 minutes. Musk tweeted on Thursday that he received verbal government approval for The Boring Company (a tunneling company he launched on a whim in 2016) to build an underground Hyperloop connecting New York, Philadelphia, Baltimore and Washington, D.C., in a cool half an hour. Each stop on the line would go through each city's center and would have approximately 12 entry and exit elevators. This isn't Musk's first foray into Hyperloop, a maglev-powered transportation concept that hurls trains through pneumatic tubes at speeds upward of 800 miles per hour. He initially pitched the idea in 2013 in response to a proposal for the California High-Speed Rail, which would make a trip between Los Angeles and San Francisco in less than three hours (Hyperloop could, theoretically, make that trek in 20 minutes). In 2016, he constructed a test track in Hawthorne, California, and held a design competition for teams to test pod prototypes for the system. On top of that, Musk and The Boring Company also want to dig a series of underground tunnels in Los Angeles that would prop cars onto trolleys that would travel upward of 100 miles per hour, alleviating traffic congestion in the process. 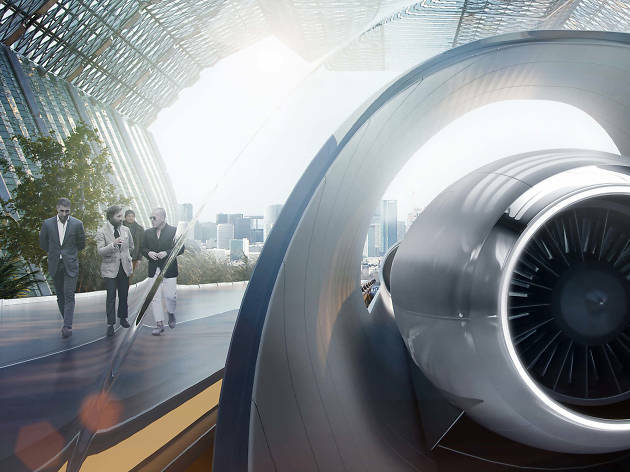 Musk is not the only person working to bring Hyperloop transportation to the world. Hyperloop One has built a test track of its own and has been working on building a framework for a Hyperloop system for a few years. 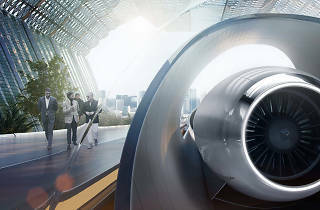 Hyperloop Transportation Technologies has also made major strides in the rollout of Hyperloop networks in Europe and Asia. The plan for the New York to D.C. Hyperloop is not final—Musk says that The Boring Company still needs to receive formal approval. But if and when it is completed, New Yorkers can look forward to a new interstate transit option that doesn't involve airport delays, bridge and tunnel traffic or the hell that is Penn Station.